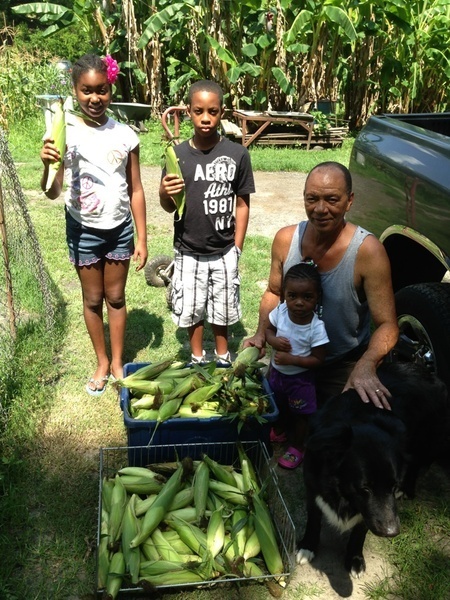 Innis Davis and three of the children in his family who help with his very large backyard garden on Cherry Street, Valdosta. With a combined 150+ years of experience as growers, these veggie veterans will interact with members of the audience sharing their stories which include the following: planting, harvesting, and preserving by the moon; rotating crop sites; fertilizing; controlling weeds and insects; saving seed for 50+ years; growing in containers; and using their talents and techniques of growing to help friends and 3 generations of family. 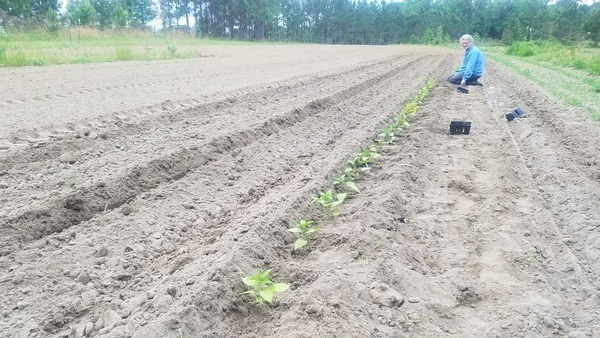 Serving as a moderator for this discussion will be Diane Howard who works closely with individuals in South Georgia to promote growing their own food and oversees a large garden on her 5th generation family farm in Grady County. 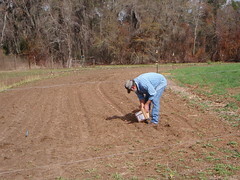 This entry was posted in Agriculture, SOGALO14 and tagged Agriculture, Albert D. Barner, crop rotation, Diane Howard, farmer, fertilizer, Georgia, harvesting, Innis L. Davis Sr, Lowndes County, moon, panel, planting, SOGALO14, Theresa T. Clark, Valdosta on January 19, 2014 by John S. Quarterman. This entry was posted in Agriculture, Food, Gardening, Okra Paradise Farms, Plants, Potatoes and tagged 19 February 2012, Food, garden, Gretchen Quarterman, John S. Quarterman, Okra Paradise Farms, planting, Potatoes, Taters, Terry Davis on March 3, 2012 by John S. Quarterman.